G Suite and Office 365 are great productivity and collaboration tools, but they don’t serve as a directory. Those G Suite and Office 365 identities aren’t portable to laptops or workstations, legacy applications, AWS cloud servers, your WiFi infrastructure, and more. In fact, if you are interested in leveraging those credentials elsewhere you are largely out of luck. There are a few options out there to do more with G Suite and Office 365 credentials. One route is to put a server on-prem and use that as your central identity management platform and then federate identities to the cloud. But this approach is counterproductive. Didn’t you move to the cloud to get away from on-prem systems and self management of solutions in the first place? There’s also a more cloud-forward way. 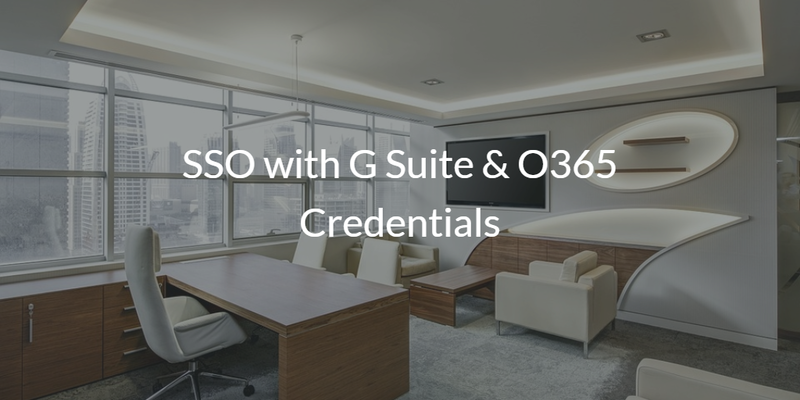 In this article, we’ll help explain how Directory-as-a-Service® can help you achieve SSO with G Suite & O365 credentials. 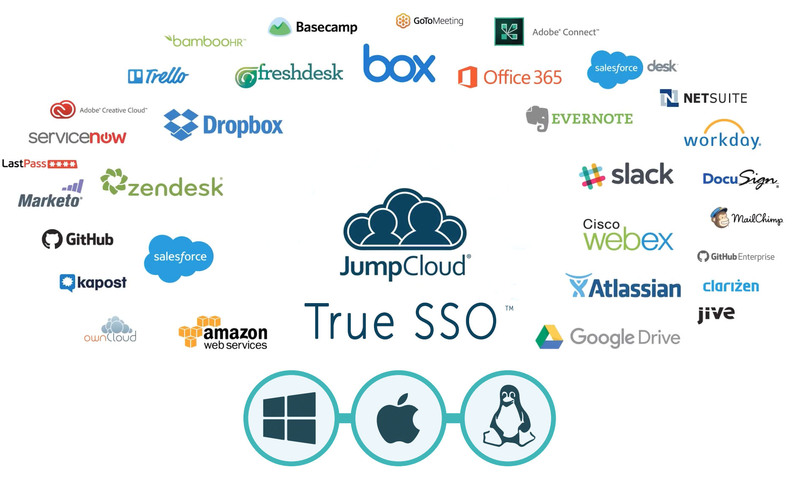 JumpCloud’s True SSO™ approach solves this problem and centralizes all of your IT resources around either G Suite or Office 365 credentials, but with a cloud hosted directory service. No on-prem server required and the cloud hosted identity management platform is delivered as a SaaS-based service. Sign-up for a free JumpCloud IDaaS account and get started today! Shifting your IT infrastructure to the cloud is a powerful concept that most IT organizations are trying to execute on. When you move to either G Suite or Office 365, pair that move with a cloud-hosted directory service. You’ll be able to eliminate not only your Exchange server, but your Active Directory server as well. Give JumpCloud’s Directory-as-a-Service platform a try for yourself. Your first 10 users are free forever.